they look so dainty and elegant, perfect Christmas cookies. happy holidays! 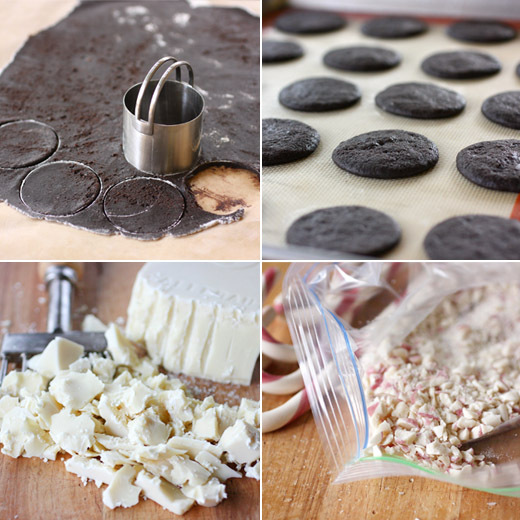 One can never really have too many pepperminty chocolate cookie recipes, in my opinion! I SO want to make these! Those are so pretty Lisa. 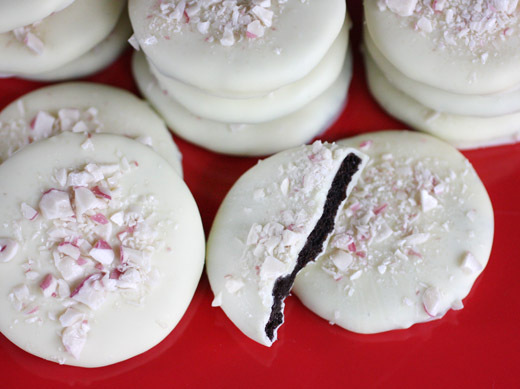 Peppermint and chocolate is a sure-fire win in our house. I love peppermint in anything! These were delicious! I wish I had picked up a dozen but I was nice and only took one. Now I regret it. Surprisingly, now that all the obligatory baking is done, I'm still in the mood to make cookies. I may have to whip up a batch of these! Yum! Look at these cookies. These guys are right up my alley. i love how these are dipped! i didnt do any christmas baking this year (!!! )...so maybe these will be some nye cookies?! What a perfect Christmas idea Lisa! They look wonderfully festive :) And I hope you all had a very Merry christmas and a very Happy New Year coming up soon! what lovely little slices of holiday tastiness! the innards are great, but it's the coating that secures my vote! I love these. I am going to snap up the candy cans at the shops now they are cheap and make some. 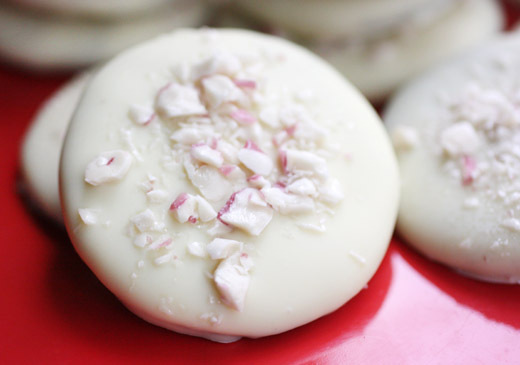 Mmm, peppermint and chocolate are one of my favorite combos and these are just so pretty! Do you have any chocolate dipping tricks? I don't think mine would nearly as pretty as yours! These look like THE perfect holiday cookie. Gorgeous and infused with the flavors of the season that nobody can resist. YUM!